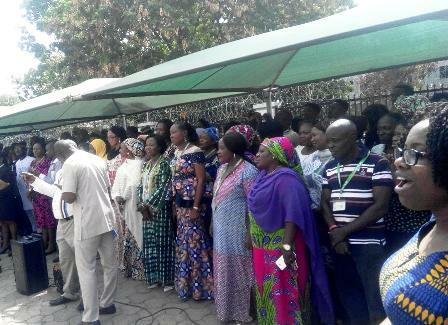 Abuja- Newly-appointed Director-General of the National Agency for Foods and Drugs Administration and Control, NAFDAC, Prof Mojisola Christianah Adeyeye, resumed duty on Thursday at the agency’s headquarters in Abuja to a rousing welcome by staff of the institution. The founding Chair of Biopharmaceutical Sciences and professor of pharmaceutics and Drugs Product Evaluation at the College of Pharmacy, Roosevelt University in Schaumburg, Illinois was recently appointed by President Muhammadu Buhari to lead the agency for the next five years. 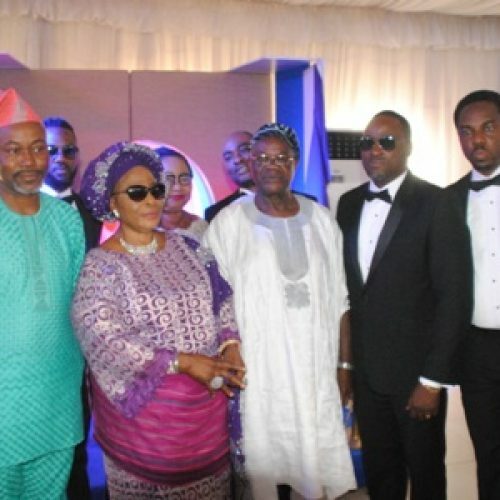 Adeyeye, wife of the Senate Chief Whip, Senator Olushola Adeyeye, took over from Mr Mattew Mogbojuri, who headed the agency in acting capacity since the retirement of Mrs Yetunde Oni who led the agency between February 15 2016 and September 28 2017. President Buhari had on February 15, 2016 sacked Dr Paul Orhii who headed the agency for seven years. 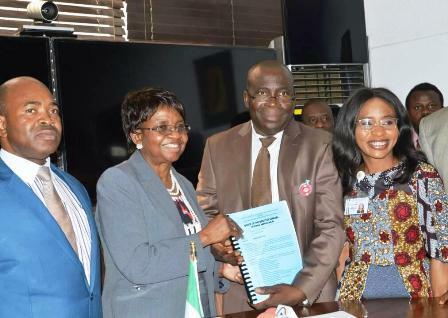 In her inaugural address, Adeyeye said she came with an open mind and commitment to lead NAFDAC, and promised that her goal was to ensure NAFDAC is respected as an internationally-recognized regulatory agency. A professor of Pharmaceutics and Manufacturing for 21 years at Duquesne University in Pittsburgh, PA, she promised to expose staff of the agency to the trainings they need to make the agency a leader among its contemporaries worldwide. She said she would ensure infrastructures update at NAFDAC and would reposition it for more efficient and effective services. “The annual reports for the last three years were handed over to me not long ago. I have given the documents a preliminary reading, and I will seek clarifications where necessary. 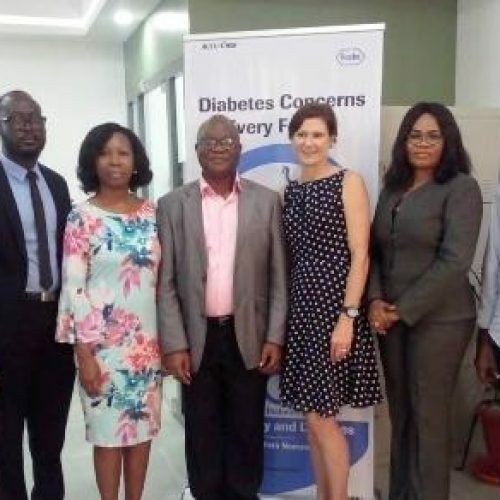 “I was invited to the United States Pharmacopeia (USP) in Maryland, USA last week for a six-hour meeting where I was given a report of Promoting the Quality of Medicines (PQM) support that USP had given to NAFDAC. These included strategies needed for the near future. I have also received the report of the gap assessment of NAFDAC conducted by USP and USAID that was published in August 2017. “The documents, in particular the USP/USAID GAP Assessment, have given me valuable insights into what is on ground here. In the next few days and weeks, I would be meeting with directorates and zonal heads, individually and collectively, for a better appreciation of where the agency is today and what challenges lie ahead of it,” she said. She explained that the agency, through the Act setting it up, plays a critical role in ensuring that the health of all Nigerians and foreigners resident in the country are not jeopardized by the use of substandard or counterfeit regulated products. She vowed to lead NAFDAC toward eliminating substandard, falsified and unsafe drugs, medical devices, foods and water during her tenure. 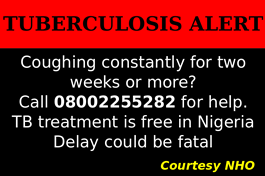 “For the last 24 years, NAFDAC has made steady progress in ensuring that the health of the nation is protected. Our collective responsibility is to take the agency to the next level and carry along all of you, my esteemed NAFDAC staff, in this journey to make NAFDAC respected and internationally recognized regulatory agency. Issues she seeks to address at NAFDAC include ensuring that staff welfare is at the front burner; enhance quality testing of medicines by adequately training staff in international quality standards, and by providing needed laboratory infrastructure; aligning NAFDAC with international standards in medical product regulation to ensure safety, efficacy and quality of locally-manufactured drugs and medical products. 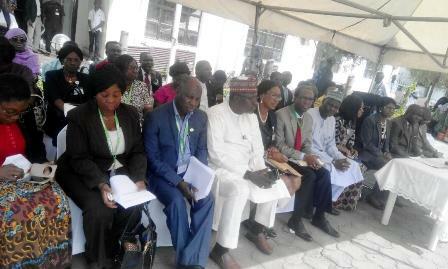 These, she said, would contribute towards the elimination of substandard and unsafe medical products. They will also create market opportunities for Nigeria in the supply of essential medicines to ECOWAS countries and beyond, she said. Others are emphasize the training of NAFDAC staff in regulatory science and clinical trial management, in compliance with international standards; conduct scheduled pharmacovigilance and post-marketing surveillance for evidence-based regulatory decisions that would result; work with the manufacturers’ group and other stakeholders on the drug distribution chain; continue with all the good projects of the agency as long as they meet irreducible minimums in due process, and conform to the law that established the agency; drive the harmonization of NAFDAC’s overlapping functions with those of other sister regulatory bodies eg SON, PCN, NDLEA, Plant and Quarantine services etc; support local pharmaceutical manufacturers through provision of current regulatory guidance and training; consolidate NAFDAC’s successes in the use of anti-counterfeiting cutting edge technologies; promote herbal medicines development through creation of guidance for local manufacturers. She also urged that attainment of the missions and visions of the agency would be a collective responsibility. Adeyeye possesses intimidating CV. She is, among others, President/CEO, Elim Pediatric Pharmaceuticals Inc.; chair of Biopharmaceutical Sciences and Professor of Pharmaceutics and Drug Product Development, Roosevelt University College of Pharmacy between May 2010 and August 2017. She developed anti-retroviral (HIV/AIDS) pediatric fixed dose combination (FDC) and received intellectual property (patents) on the formulations in UK and South Africa.